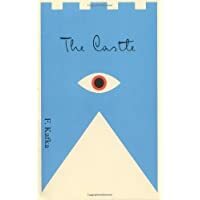 As part of my making acquaintance with the German-language canon, this week I’ve been reading Franz Kafka’s The Castle. And while my choice of novels isn’t directly in response to the on-going federal government shutdown, Kafka does provide a pretty cathartic read given the recent sanctification of bureaucratic dithering. One brief line in particular (bolded below) from The Castle stuck out this morning that I’d like to share, along with a longer contextual set up. A great line, isn’t it?